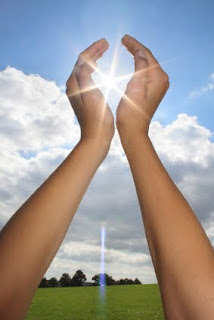 Vitamin D is an essential vitamin the body needs to regulate the amount of calcium and phosphorus in the body. It is best known for its role in using calcium to help build bones and keep them strong. Truthfully, vitamin D isn’t actually a vitamin at all, it's a prohormone. In the strict definition, a vitamin is something the body can't produce on it's own. So with all that said, what's the deal with "Vitamin D?" Like: how do we get it, how much do we need, can I supplement it, and is that safe? The body can make vitamin D after exposure to UV rays. The amount of vitamin D made when the skin is exposed to sunlight depends on several factors, including skin color, age, how much skin is exposed, time of year, time of day, cloud cover, length of exposure, and geographic location. For more, click HERE. Infants, children, men and women age 0-50 = 200 International Units (IU) per day (5 micrograms). The safe upper limit for adults was set at 2,000 IU/day and 1,000 IU/day for infants. Yes, but generally only if you supplement. You are not likely to get toxicity from diet (got cod liver oil?) and you won't get it from excessive sun exposure. But if you supplement beyond the recommended IU/day you may get some nausea, vomiting, poor appetite, constipation, weakness, weight loss, confusion, heart rhythm problems, deposits of calcium and phosphate in soft tissues. 0 Response to "Vitamin D: 4 Things to Know"